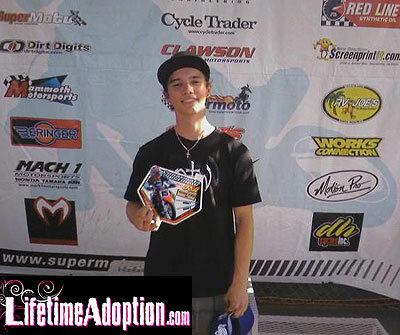 Lifetime Adoption supports supercross by sponsoring young supercross racer CJ Weaver. CJ is a part of a team composed of Christian racers. They began their team in late 2008. They race mostly amateur supercross, however CJ hopes to be racing in the pro class by the end of the season. CJ races a Honda CRF 250R. CJ is home schooled so that he can maintain his racing schedule.